Field Projects is pleased to present works by Cynthia Laureen Vogt. 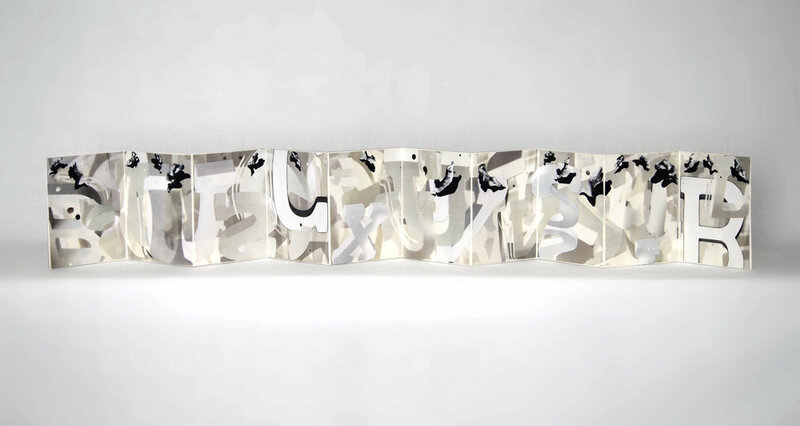 With her new show, In Any Case, Vogt plies the abstract mechanics of language and writing - beyond words and their meanings - found in pattern, shape, gesture and rhythm, to create handmade accordion books. Upper case, lower case, In Any Case, is in part a response to the ways language operates and its origins within the body. 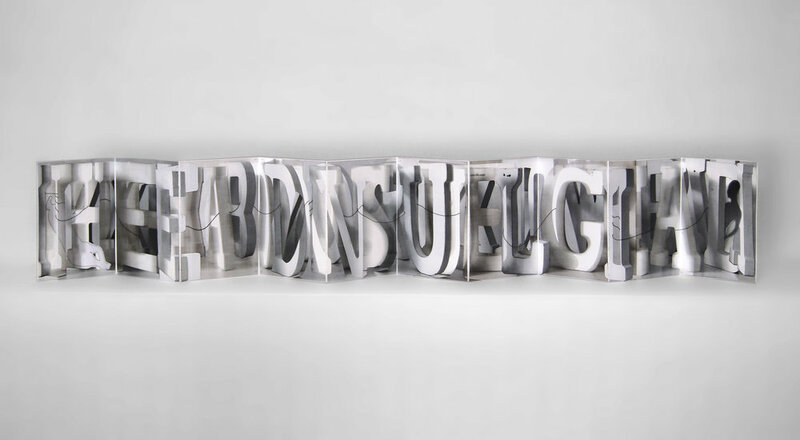 These collage works use the Roman alphabet, which evolved through the oral sounds with which we make words rather than their pictorial affinity. 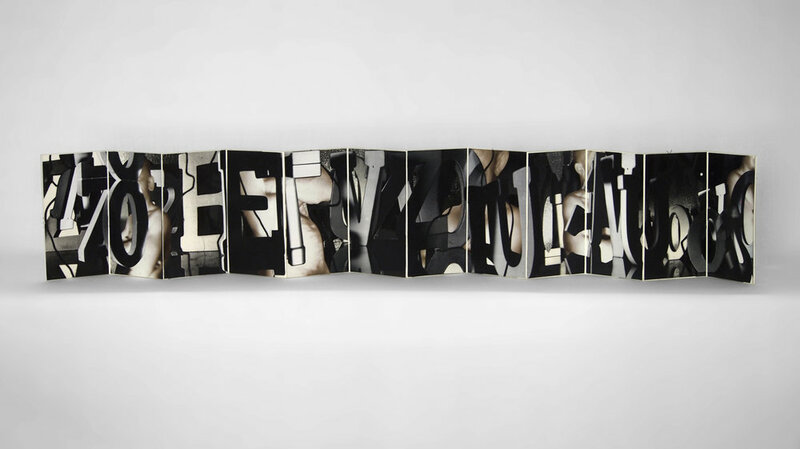 The finely sewn collages are generated from photographs and video stills of wooden block letters, pared down to the elements of paper/support/screen and graphic characters. Use of acetate transparencies result in subtle reflections which shift and change in relation to the viewer’s position. Strategic cutting both around and against the letters as well as silhouetted human figures whose gestures perform as text hint at a vocabulary incorporating movement and absence. Vogt’s photographic art-making continually draws from film, dance, theatre, and literature, as well as critical theory and philosophy. This current exhibition is especially indebted to the photomontage works of Hannah Höch and Jacques Derrida’s collection of essays, Paper Machine. Born and raised in Detroit, Michigan, Cynthia Laureen Vogt lives and works in Santa Fe, New Mexico. She has exhibited her photography and artist’s books both in the United States and abroad, including the Center for Contemporary Arts in Santa Fe, the Williamsburg Art and Historical Center, and the Nippon Polaroid Center in Japan, and most recently, Amos Eno Gallery in New York. Her work has been reviewed in THE Magazine and Nippon Camera, and is included in numerous private and public collections.